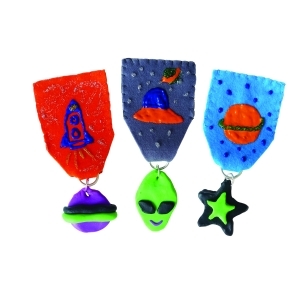 Every aspiring astronaut will like creating their own badges to proudly display their latest conquests out into the universe. This Seedling Kit contains: Felt, Puffy Paint, Glitter Glue, Needles, Make and Bake Clay, Brooch Pins, Sequins, Jump Rings, Thread. Recommended for ages 8+ years.